Achieving this aim has been Fischer’s goal for the better part of almost two decades. After his studies at The Hague’s Royal Conservatoire, he started out as tape editor and freelance engineer for Polyhymnia International, the former Philips Classics Recording Centre. There, he worked as editor on the very first commercially produced SACD and on projects for artists such as Sir John Eliot Gardiner, Alfred Brendel, Seiji Ozawa and Lorraine Hunt Lieberson. 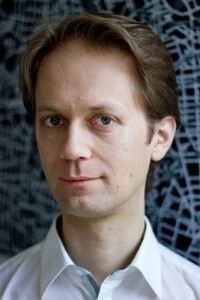 Starting in 2007, he moved his centre of gravity from The Netherlands to Singapore, Hong Kong, mainland China and Russia. Working both with a carefully compiled mobile set-up and established studios, the traveling not only expanded his portfolio with contemporary composition and traditional music. It also brought him in touch with a new generation of artists who truly had something to add to repertoire about which everything already seemed to have been said.